These blue dogs sure look FETCHing on this red backdrop. High-Grade 18/8 Stainless Steel. BPA-free. Triple-Walled for maximum insulation, leaving no condensation on the exterior. 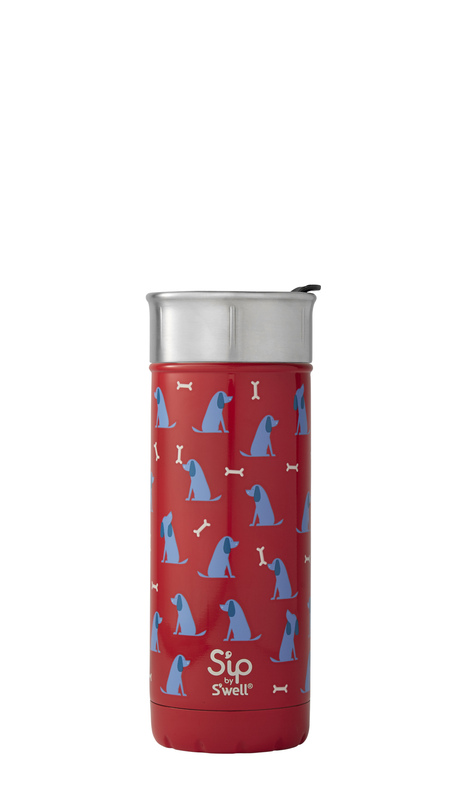 Keeps beverages cold for up to 24 hours and hot for up to 12. Vacuum-insulated, high-grade 18/8 stainless steel. Condensation-free, the exterior will remain dry. How does my S’well work? 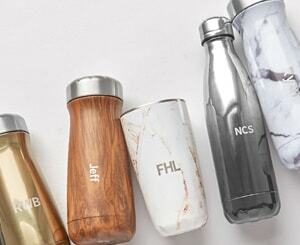 S'well bottles, Travelers, and Roamers will keep your beverage cold for up to 24 hours or hot for up to 12. Thanks to our triple-walled ThermaS'well™ insulation technology, which includes a copper layer, S'well products are able to keep any liquid hot or cold for long stretches of time. See more. Will my S’well product sweat? No way! Thanks to S’well’s triple-walled insulation, which includes a copper layer, the outside of your S’well will stay completely condensation-free. See more. Can I fly with my S'well? Prepare for take off! Your S’well is airport security friendly, as long as you remember to empty out what’s inside first. See more. Does S'well sell different caps & lids? Designed to accommodate your active and on-the-go lifestyle, S’well has released a variety of accessories sold separately. See more. What is the warranty on S’well products? S’well offers a one-year limited warranty on all bottles purchased from swellbottle.com and authorized retailers with proof of purchase. This warranty covers any manufacturer defects, such as thermal performance issues, base becoming detached from the bottle and non-polished surfaces. See more. Still have questions? Go here.